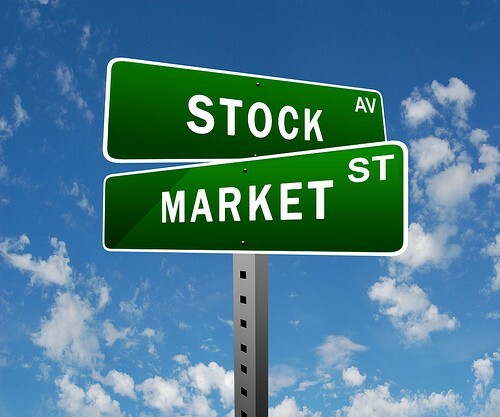 Some of you may know that I'm a part-time trader, day trading and swing trading mostly stocks and some options. Since I live on the west coast, the market opens at 6:30 AM PST so I'm able to get some trades in for a few hours before I head to my full time day job. I started in 2008, and have blogged off and on since then about my journey and progress. I've had numerous ups and downs, and despite numerous downs, each year I've gotten better and more profitable. I've learned a lot of lessons, a lot about myself, and a lot about my strengths and weaknesses. Long term success rates are poor. The data shows that only 17% of Americans are able to sustain a 10% weight loss after 1 year. Other data is even more grim; five years after completing structured weight loss programs, people only maintain a 3% weight loss. The data on the long-term success of traders is just about as bad. In a study of day traders in Taiwan, 80% lose money over any 6-month period. In a study of day traders in the U.S., twice as many lose money as make money, and only 20% are more than marginally profitable. Many have repeated setbacks until they find success. When I was the research director for 20/20 Lifestyles, we had people who had tried to lose weight 7-10 times or more, only to regain the weight. They finally would achieve lasting success with our program. I know of many other people who have had multiple weight loss attempts before reaching a point where they kept it off. Likewise, I know of numerous traders who had numerous setbacks, including blowing out their trading accounts a few times before becoming consistently profitable. While I personally have never blown out my account, I have suffered some pretty big losses which I've blogged about, such as here and here. The key is to learn from those losses, so that you don't repeat the same mistakes. That's what separates the traders who are successful in the long run, from the traders who are not. Similarly, the people who are successful with long-term weight loss and maintenance are the ones who learn from their past mistakes. They understand what went wrong in the past, and know what to do different in the future to avoid the same setbacks. Remember, if you do what you've always done, you'll get what you've always gotten. We all know that old cliché about the definition of insanity....don't expect a different result by doing the same things over and over. Success takes consistent, hard work, day in and day out. I do not know of a single successful person who has not had to work very hard to not only lose weight, but keep it off over the long term. If you read Anthony Colpo's interview with Muata Kamdibe, Muata doesn't give you any B.S. He tells you straight up that it was very hard work for him to lose 120 pounds, and he continues to have to work hard to this day to maintain his condition. When I worked for 20/20 Lifestyles, we told our clients straight from the get-go that keeping weight off would be a part-time job for the rest of their lives. We did not sugar-coat it. I've also told this to my Weightology Weekly readers. The fact is, when you lose weight, there are changes that happen in your body that "prime" it to gain the weight back. Thus, it requires extra diligence to keep the weight off, especially when we live in an obesigenic environment where the plethora of energy dense, easily available food is constantly surrounding us. Many people lose weight and then think the work is done, but the reality is the work is never done. Losing weight and keeping it off requires diligence with both your food intake and your physical activity; I don't know of anyone who has been successful over the long run who have not had to be diligent about both. The same holds true with success in trading. Trading takes a lot of hard work; you can't just sit down at a computer, start hitting some buttons, and expect to make some money. If it was that easy, 80% of traders would not be losing money. Of the profitable traders I know, most have taken at least a few years to become consistently profitable. It's taken me 4 years to finally start to achieve some consistency on a week to week and month to month basis. It's taken a lot of hard work to get there, including spending hours and hours studying charts and past trades, keeping meticulous statistics of my trades and trading strategies, doing prep work every night and early morning before the market opens, backtesting strategies, eliminating strategies that don't work while keeping and refining the ones that do, suffering through big losses and tough lessons learned, and constantly practicing every day while observing and learning all of the nuances of the market. On top of that, market conditions can change (much like how your body changes with weight loss), and what worked for you 6 months ago might not work now. Thus, just like with weight loss, the work is never truly done. People jump from one system or program to the next, looking for the "secret." This goes along with my point of how people are looking for a quick and easy way to success. In the field of weight loss, people will jump from one fad diet to the next, from one weight loss book to the next, from one weight loss program to the next, from one late-night TV exercise machine to the next, from one weight loss supplement to the next, looking for that "secret" to weight loss success. The fact is, there is no secret. The "secret" is hard work. Similarly, in the world of trading, traders jump from one trading system to the next, wanting that one trading program that's going to make them rich quickly. But no trading system can replace hard work and time in the trenches, learning the market in real time. Also, the problem with any trading system is that if too many people start to follow it, it stops working. For example, there are autotrading services where a computer will make trades for you (talk about being lazy!). The problem, however, is that if the service is successful, a lot of people start signing up for it. All of these people are competing for the same entry prices; in fact, all of the people trying to jump into the same trade at once can end up moving the stock, ultimately leading to the failure of the trading system. People want to be spoon fed. People don't want to have to plan their food intake. People don't want to have to track their food intake. People don't want to have to plan their physical activity. They want someone to tell them what to do, without understanding why they're doing those things. Certainly, it helps to have guidance in the beginning, but in the long run, your success is ultimately up to you and no one else. While a personal trainer, dietitian, etc., can help you, you can't completely depend upon one; otherwise, you will not be successful with long-term weight loss because the vast majority of the time you will be on your own. Similarly, the popularity of trading alert services shows how people just want to have trades spoon fed to them. They want someone to tell them when to buy and when to sell. I see it all the time in our trading chatroom; people are always asking the moderators, "Should I buy XYZ here? Should I sell XYZ here?" While this can help you learn at first, it is not the pathway to long-term success. In fact, I have never been successful blindly trying to follow someone else's trades. Because stocks can move very quickly sometimes, it is often impossible to get into the same trade at as good of a price as the person you are trying to follow. What makes it worse is if you don't understand the rationale for taking the trade in the first place; you will never be able to become a self-sufficient trader. There are many "gurus", most of which give incorrect information or, worse, are only taking your money. The field of weight loss is full of self-proclaimed "gurus" who have written books on the topic. The information provided by these "gurus", like Gary Taubes or Zoe Harcombe, is often based on bad or junk science. The incorrect information put forth by these individuals ultimately can lead to problems (such as an irrational fear of carbohydrates caused by low-carb "gurus"). Some "gurus" may have never worked with a single client, or worse, may have weight issues themselves. Then there are the weight loss gimmicks, pills, etc. that are pushed by some in the industry. These individuals are only taking your money. The same holds true in the trading world. There are many trading systems and alert services being sold out there by trading "gurus". While a few are legit, most have no proven track records, and are likely making more money off selling their service to you than by trading. Emotions can be your worst enemy. We've all heard the term "emotional eating." This is where we eat for comfort or to make us feel better. There are actual physiological reasons why we do this; "comfort" foods, like cakes, cookies, etc., cause chemical changes in our brain that give us pleasure, as well as ease pain. Unfortunately, these foods are also calorie dense and can lead to overeating and weight gain. The guilt from emotional eating episodes can lead to a downward spiral of more emotional eating. It can become important for someone who is trying to lose weight to find alternative ways to cope with unpleasant emotions. Similarly, emotions are a trader's worst enemy. My worst trading decisions have come under times of frustration; I would force a trade and take one that I shouldn't have, or I would not obey a stop and let a loser get too large. This would cause a downward spiral where one bad trading decision would lead to another one. With trading, you need to be like a machine, where a loss is no big deal and just a part of doing business. Winners and losers are met with the same stoicism. You have to find what works for you. There's a lot of different ways you can successfully lose weight (despite all of the cultish zealots who try to tell you that their way is the only way), and there is no "best" way. You have to find what works for you; what works well for you may not be ideal for another person. Likewise, in trading, there are many different strategies through which you can be profitable. You have to find the ones that work for you, and what works for you may not work well for someone else. Really, success in anything in life, whether it's weight loss, trading, business, athletics, etc., share many of these characteristics that I've outlined here. The fact is, you WILL have setbacks. They key is to learn from those setbacks. You will continue to "fall down" when it comes to weight loss, and I will continue to fall down in my journey as a trader, but it is important that we keep getting back up and moving forward. Great article! Just like what I have been telling people, a good coach is the one who would walk them with guidance until they could walk in their own. Successful long-term weight management is all about awareness(consciously controlling input and output part of the energy balance) and adaptation(building those knowledge and understanding into a habit) to be able to modify their lifestyle. Thanks for the comment, Jean! You are so correct about awareness AND adaptation! Thanks for mentioning me in your post James; that was nice of you my friend! Oh, and what’s really funny about your post is that you can insert just about any skill and relate it to weight loss. I play the drums, and when I started out, there were tons of books and DVDs promising to teach me the secrets of “playing like the Pros” in 90 days, etc. When I decided I wanted to learn to play the congas, lo and behold, I found very similar books and DVDs too! No matter the skill, be it a hobby or profession, it’s going to require that you put in the time to learn, fail, and refine the process. Hey, no problem, man! That’s cool you play drums…I play guitar myself but I know I can’t be Yngwie Malmsteen without practicing 8 hours per day! Really, when you think about it, fat loss is a “skill” too. It takes practice…it takes time to learn, fail, and refine the process like you said. Possibly the best blog post ever written about weight loss, but sadly the advice that few will heed. As someone who has lost 100lbs of fat myself and kept it off for 5 years (something only 1% of people have done apparently), I agree with all of your points which I discovered by trial and error myself, but good to see them put into a coherent article. Keep fighting the good fight James. Thanks, Brad, for the comment! Congrats on your success! Hmm, many of these mistakes sound familiar. Thinking I can return to regular lifestyle? Lesson learned, first regain. Thinking lots of exercise gives me license to eat whatever? Lesson learned (though I think it allows me more wiggle room than people who exercise little or not at all). Low-fat? No. Low carb? Hell no. Thinking that I can eat healthy food out, and cook little? Major fail. Following someone else’s diet plan? I’m too picky, want to eat what I like. Easier for me to tweak that. The hardest part was learning appropriate portions, and keeping them from creeping up (neverending monitoring on the scale-still). The most disappointing/rewarding part was accepting that I have to prep most of my own food, which I take pride in though I still find it inconvenient and a time-eater. A part time job, as you said, and I’ve heard others say. Acceptance, maybe I can even call it radical acceptance that I can’t quite live like most others I hang with. I’m glad my high exercise lets me eat “regularly” occasionally. I’m glad I like fruits and veggies. Most discusssions that I hear about how people (especially women) are going to lose weight frighten me, and I don’t participate. A few people that I know still knew me when I was fat, and they give me leeway, but many tease or question me, or complain about my lifestyle, which doesn’t seem especially diet-y to me, but I grew up in a semi-health conscious family, seems normal. Except the cooking, that’s just not done anymore. Maintenance is a lonely place. Thanks for the comment! Your statement “maintenance is a lonely place” is very reflective of the typical feelings that successful weight maintainers have. I wrote a Weightology Weekly article about this here where the researchers found that many weight maintainers experience the exact same things you have experienced…teasing, questioning, and complaining about your lifestyle (which you are correct, is not really diet-y…sounds more simply health conscious). Hey, Muata, having a weight maintenance forum is a great idea! I’ll look into putting one together. I totally agree and as stated in another comment, the best blog written on weight loss and maintenance I have read. I was diagnosed with type 2 diabetes in 2004, I lost 150 lbs in 1 1/2 years and have maintained the weight loss. I personally have found maintenance very easy, for me changing my behavior was equally important as diet and exercising also changing my mindset from one of being ‘on a diet’ to making a permanent change in my diet has made it easy for me. Thank you, Ed! Really nice to hear that this blog post has resonated with people. Congratulations on both your loss and your maintenance! Some recent research supports what you are doing as well, in terms of the change in mindset.